The options are numerous but what can I say? Every place I visit I have the inexplicable urge to get to the highest point, and soon upon arrival I find myself on top of the Space Needle, the ocean-side cliff, the Eiffel Tower, the London Eye, the cathedral’s north bell tower, the roof of my hotel, or wherever I can best fill my eyes of amazing new vistas. As much as some people are afraid of heights, I am drawn to them, addicted some might say. 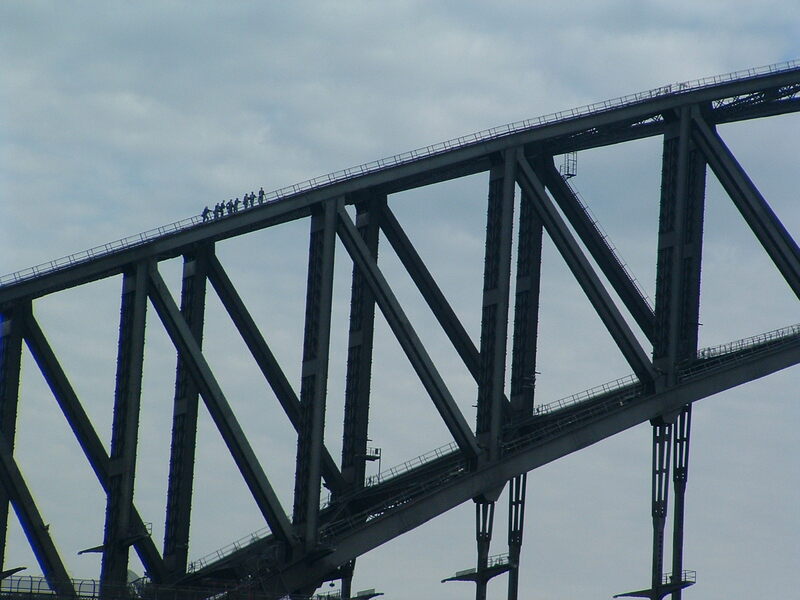 So for me the choice is easy, and an afternoon spent crawling and climbing up one of the world’s most famous bridges and the pride of Sydney turns into my best birthday ever. The final notes of my birthday song float along the warm South Pacific breeze and down across the amazing city, and soon I too descend back to the streets to see what the rest of the day has in store for me…there’s a little party called Mardi Gras tonight I want to check out. Categories: Adventures, Favorite Destinations | Tags: sydney | Permalink.